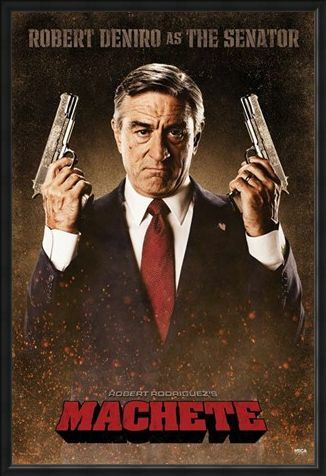 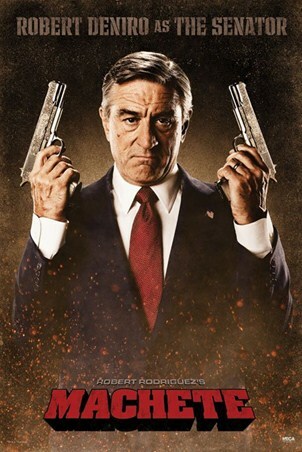 2010 Film Release Maxi Poster: He is one of the biggest stars of Hollywood, the daddy of everything from gangster movies to family films and now Robert De Niro is back as the gun wielding Senator McLaughlin in 'Machete'. The corrupt Senator is discovered to be sending immigrants out of the country and this doesn't sit well with local business man Michael Booth. 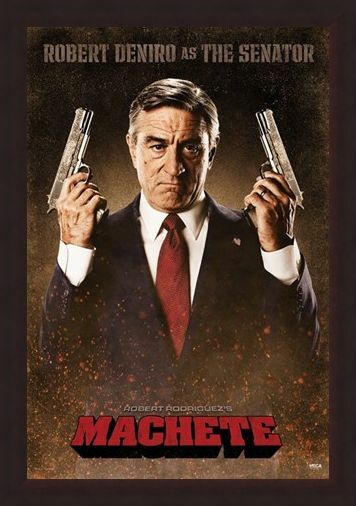 Booth is a ruthless business man with a large payroll of killers at his disposal and he calls upon Machete to take out the bent Senator. 'Machete' is set to be one of the biggest film releases of 2010 and this excellent poster features the shady Senator with a gleaming gun in each hand, ready to lock and load. 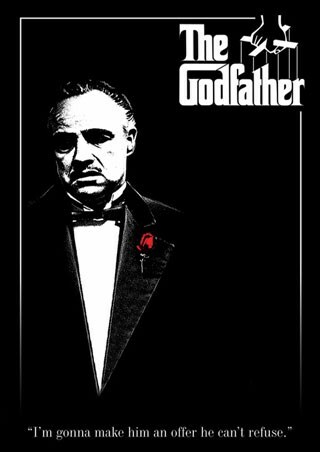 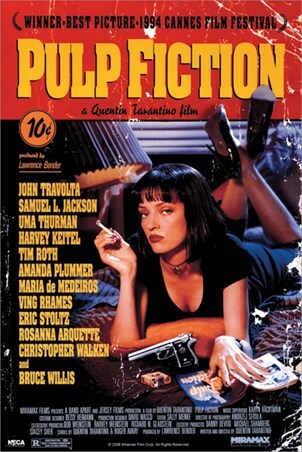 High quality, framed Robert De Niro is The Senator, Machete poster with a bespoke frame by our custom framing service.